The long wait is finally over! We now have the promo pack back in stock for our Swedish customers. The promo pack consists of 4 project cards and 3 corporation cards. Time flies by, and we are deep into the play-testing of the 5th expansion for Terraforming Mars. That was just a tease, we’re not going to say anything more about the Turmoil expansion now. Oh, did I say that out loud? Oh well, now you know. Turmoil will probably be the only addition to Terraforming Mars in 2019, as we have more projects in our pipeline that need some love. 2 of them will be briefly described in our second newsletter, which will be sent out in a week or so, so please subscribe if you haven’t done so yet. Starting with the tunnel in play, Bill can make really good use of persons in the deck. Saving survivors is a thrill, almost too easy. 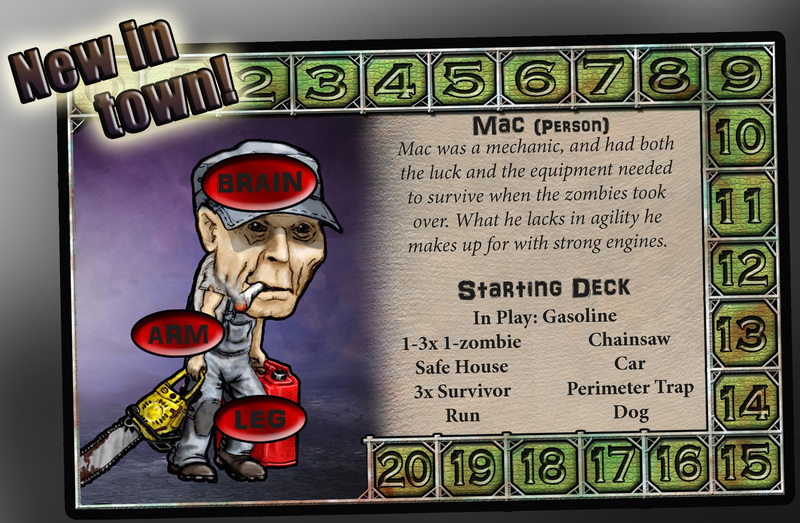 But having all those persons in play means your deck is quickly running out, and will soon be overrun by zombies which you’d rather have outside the tunnel. 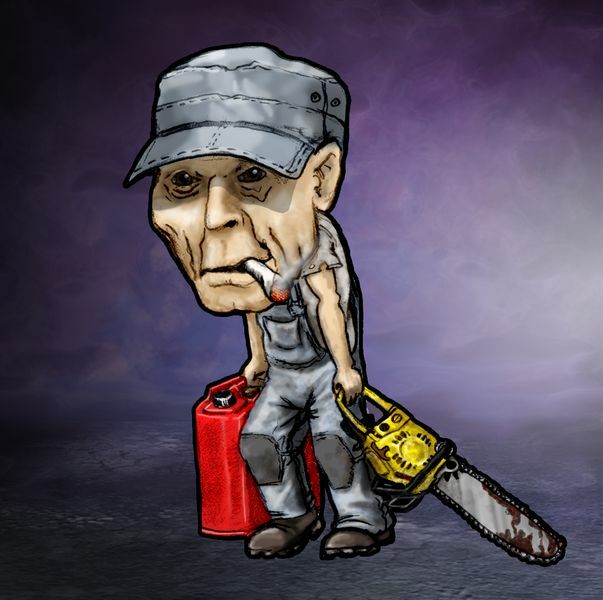 As stated, this is the third new character for After the Virus, the other two being Angela and Mac (also available from the game page). 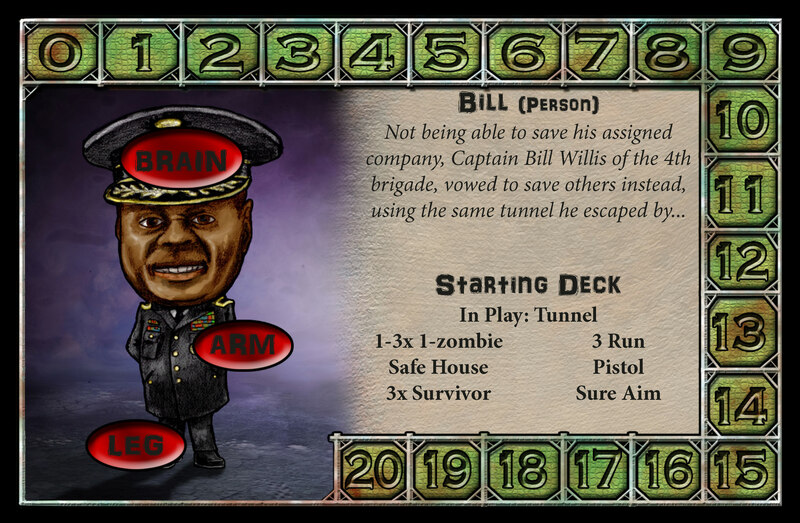 With a total of 7 characters, you’ll have many hours of joyful zombie-maiming action and desperate escapes as you complete the campaign with each one. Which one do you prefer? Which one is the best? We’d love to hear your thoughts on this. Terraforming Mars is very much about colonization, futuristic technologies and settings, but we also believe people will bring society into the solar system, and the Colonies expansion gives us another chance to include mundane ideas that nevertheless are bound to follow humanity wherever we go. For example, species that are introduced on Mars will be chosen for their usefulness, resulting in a different ecosystem than those on Earth. Some animals that are quite common here, like horses, will be rare on Mars, even exotic! So why not ship some exotic animals to Mars to show them off for money in a Zoo? Having good connections on Earth will allow you to use taxpayer money to fund this and other projects. Your increased influence might even be enough to appoint the Luna Governor, with the power to get you through all the red tape of shipping animals. It also gives you a new interesting option for animal shipment cards such as Large Convoy: do you save them for late game animal points, or do you send them to the Zoo as soon as possible to enhance your engine? One thing is for sure – corporate monkey business has never been so profitable! 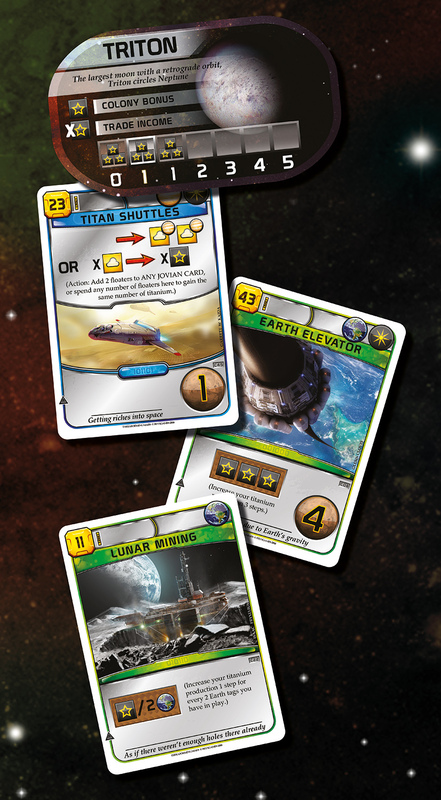 Terraforming Mars app is live! The PC version of Terraforming Mars is live on Steam now. We are very thrilled to be able to play the game with each other, even though we all live in different Swedish cities. In fact, we’ll start one right away. Cheers! Fellow terraformers! October is here, and that means new releases! Our own Octoberfest, so to speak. The first release is tomorrow, when the digital version of Terraforming Mars is released for PC on Steam. 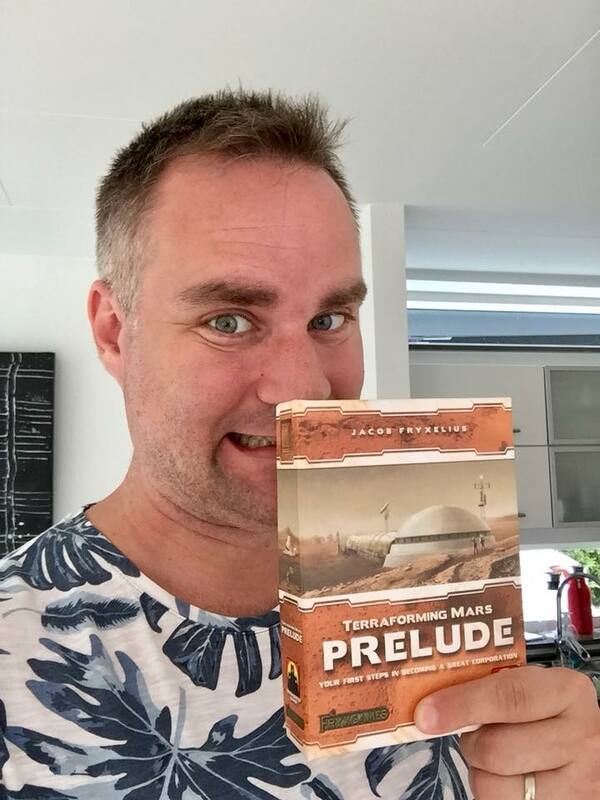 It’s been a great journey together with Asmodee Digital and Luckyhammers to bring our flag ship Terraforming Mars to the virtual world. We hope to see many terraformers there, both rookies and veterans. But even though this is huge – this is our first digital release – we also have the 4th expansion for the game being released next week in Essen, Germany. Colonies brings players to the outer solar system in pursuit of new resources to import and new frontiers to push for the sake of humanity. The first copies of the expansion are shipped directly to the fair, so we look forward to celebrating this new release together with our fans at the fair. 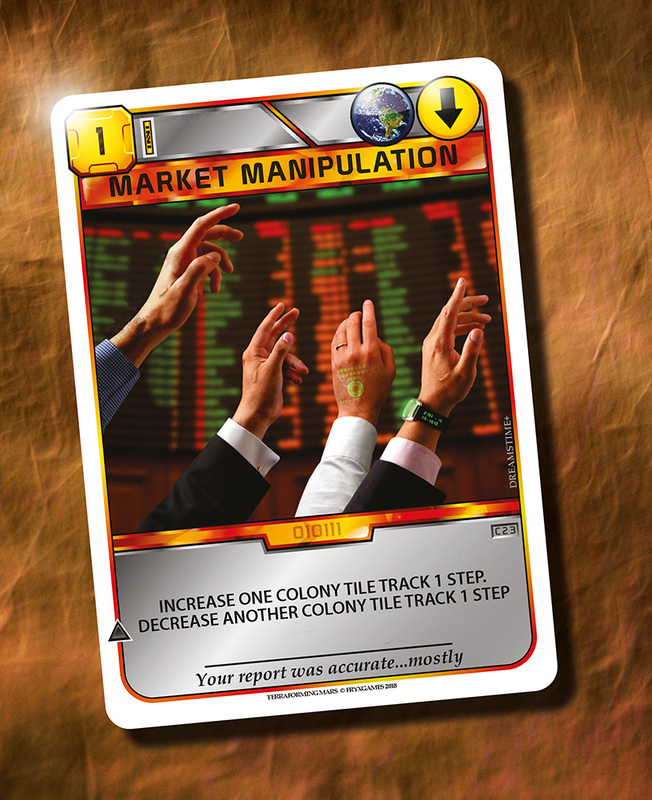 So now, who came here just to see another card from Colonies? Raise your hands! We are already working hard to get all details ready for the international games fair Spiel’18 in Essen, Germany, which is at the end of October. We hope to see you there! Our booth number is 3-O103, close to where we’ve been all these 7 years since we started FryxGames. 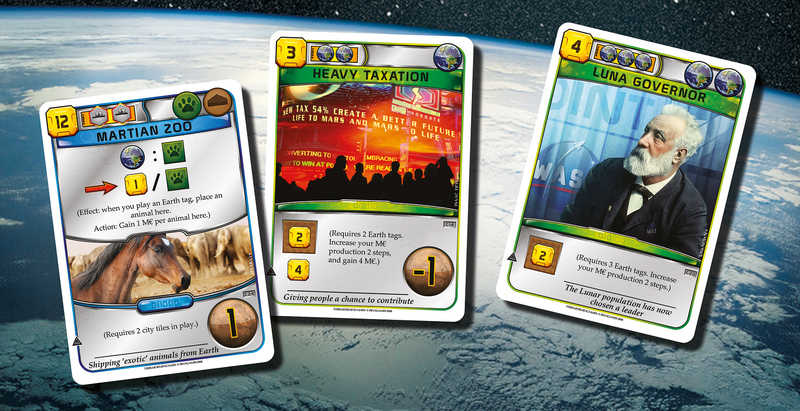 Our new items this year are of course the 2 latest expansions for Terraforming Mars: Prelude and Colonies. We will also sell the promo pack, containing all 10 promo cards released thus far for the game, including the 3 corporations from the BoardGameGeek contest. All items can be pre-ordered for pick-up at Essen. Just e-mail us at info@fryxgames.se, give us your name and the items you want to pre-order. We have set up an e-mail list for our newsletter, which we aim to send out every three months. We want to send the first newsletter this week, so be sure to subscribe to it by clicking here. 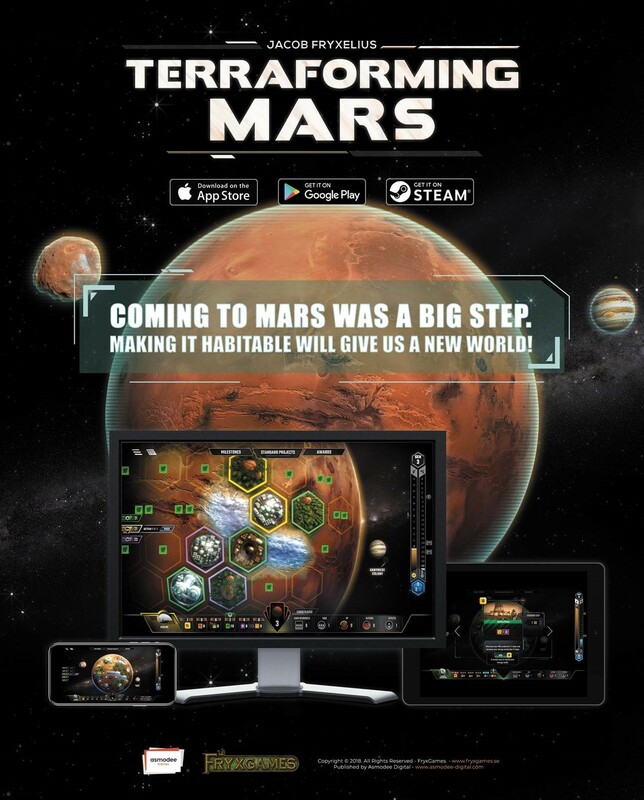 Soon you will be able to play Terraforming Mars on your digital devices! Although the launch has been postponed to late September or early October, things are falling into place and we look forward to the full release with great anticipation! To learn more, visit the app on Steam by clicking here. The image used on the Colonies box. Image by Isaac Fryxelius. Prelude has arrived from the factory, and will begin to sell shortly. We have just enough time to pre-release it in the cities in Sweden where we live, THIS WEEKEND. 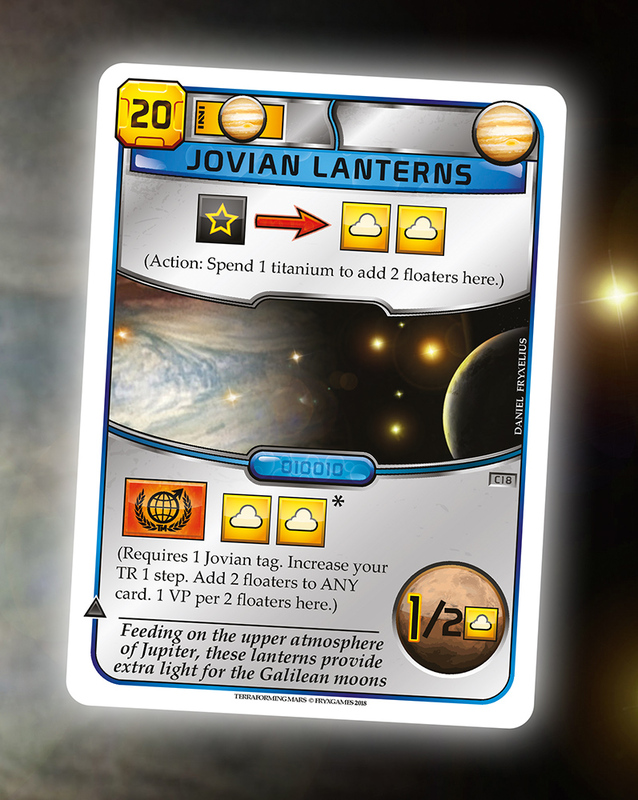 So here comes some short information about the whereabouts of the pre-release events. In Trelleborg, Enoch hosts the event at Seriecentrum (address Hedvägen 155). The event starts at 14:00 on Saturday, July 28th. In Stockholm, Jacob hosts the event at Dragon’s Lair (Sveavägen) on Sunday at 14:00. In Karlstad, Jonathan hosts the event at Karlstad University, House 12 at 15:00, also Sunday. In Linköping, Daniel hosts the event in the Studiefrämjandet premises (address Platensgatan 25) on Monday at 18:00. The events should be long enough for visitors to try the game with Prelude. We will have discounts for expansion packages and will also have the promo cards for sale.